ANNA WAS BORN IN BERKSHIRE IN 1972 AND GREW UP IN WILTSHIRE AND OXFORDSHIRE NEAR AVEBURY, THE UFFINGTON WHITE HORSE HILL AND THE RIDGEWAY. 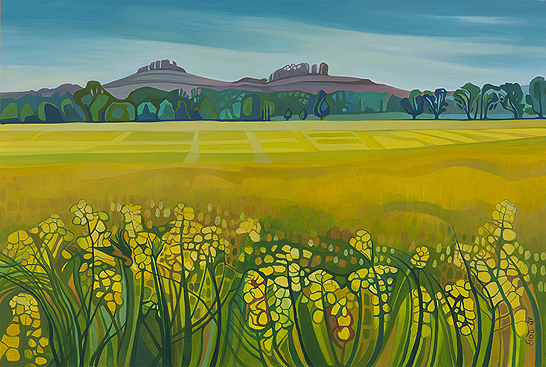 THE UNIQUE AND ANCIENT COUNTRYSIDE OF THE BRITISH ISLES AND IRELAND CONTINUALLY INSPIRES HER TO PAINT VIBRANT AND COLOURFUL LANDSCAPES. AS SOMEONE WHO ENJOYS LONG DISTANCE WALKS, TRAVEL AND EXPLORATION SHE IS DETERMINED TO VISIT AND PAINT AS MANY LANDSCAPES AS POSSIBLE WITHIN HER LIFE. AS A PAINTER SHE HAS DEVELOPED HER STYLE USING BOLD AND STRONG COLOUR WHICH REFLECT THE FORM, CONTOURS AND LIGHT OF THE LAND. SHE PAINTS WITH THIN LAYERS OF OIL PAINTS, BUILT UP GRADUALLY AND SLOWLY. THIS TECHNIQUE PRODUCES A RICH DEEP COLOUR. 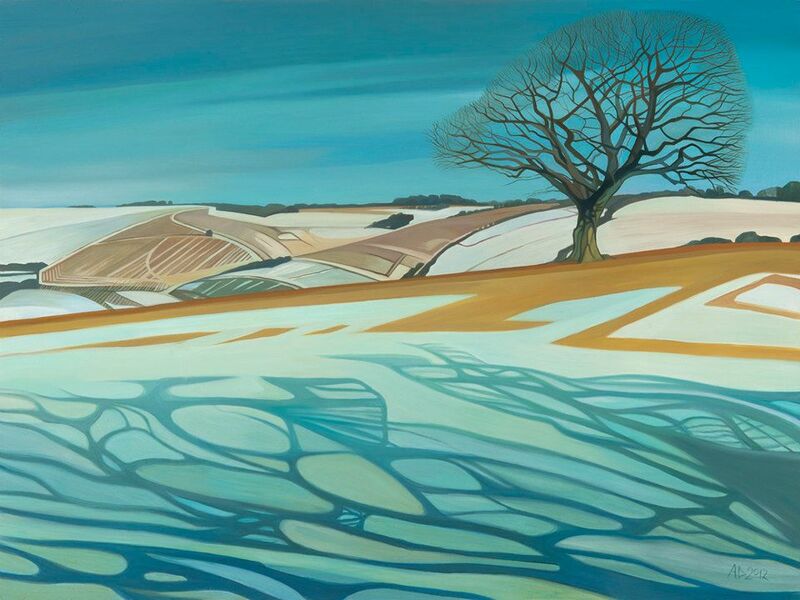 ANNA'S WORK IS REGULARLY EXHIBITED AT VARIOUS GALLERIES THROUGHOUT THE SOUTH OF ENGLAND. SHE ALSO HAS WORK IN PRIVATE COLLECTIONS AROUND THE WORLD FROM AUSTRALIA TO FINLAND.